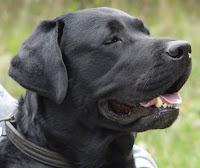 My problem patient is Buddy, an 8-year old, male neutered Labrador Retriever weighing 42 kg. Buddy first developed diabetes, which was difficult to control because of insulin resistance. He was later found to have concurrent pituitary-dependent Cushing's disease, confirmed by both ACTH simulation and low-dose dexamethasone suppression testing). Buddy has been doing well on insulin and trilostane (Vetoryl) for the past 5 months. We started him on a Vetoryl dose of 60 mg, given twice daily with food (2.9 mg/kg/day). When we repeated the ACTH stimulation test after a month, we had a low-normal serum cortisol value (1.4 µg/dl) with absolutely no increase in the post-ACTH cortisol value. This blunted response worried us, so we reduced his Vetoryl dose to 30 mg once a day in the morning (1.4 mg/kg/day). Recently, Buddy's appetite began to wane, so we added 5-mg of prednisone to his treatment regime. Almost immediately after adding the glucocorticoid treatment, his appetite perked up. Buddy has just started showing signs of polyuria and polydipsia, so we repeated his ACTH stimulation test once again. Results of this testing showed a basal serum cortisol value of 2.3 µg/dL, but the post-ACTH cortisol value was only 2.0 µg/dL. My question is this: Could the low-dose prednisone treatment that we are administering be suppressing this dog's adrenal response to the ACTH injection and providing us with inaccurate information? With the polyuria and polydipsia, I would have expected high cortisol levels, not low cortisol values. In a dog with pituitary-dependent Cushing's disease, we generally are dealing with an ACTH–secreting pituitary adenoma, which is resistant to negative-feedback suppression with glucocorticoids. This is the basis for using the low- and high-dose dexamethasone suppression tests, which we use to diagnose and differentiate the causes of Cushing's syndrome in these dogs (1). Therefore, adding 5-mg of prednisone (0.12 mg/kg/day) to this large breed dog's treatment regime would not suppress pituitary ACTH secretion or change your ACTH stimulation test results. If the dog was normal, that small dose of glucocorticoid could possibly be enough to suppress or blunt pituitary ACTH secretion, but it is much too small of a dose to change ACTH secretion in dogs with Cushing's syndrome. It is possible, however, that you are measuring some of the prednisone in the assay for cortisol, especially if you are giving the prednisone within 24 hours of the ACTH stimulation test. Prednisone and prednisolone will both cross-react in the cortisol assay to falsely increase the measured serum cortisol values. If this is true, basal and post-ACTH stimulated cortisol values in this dog could be very low, and the dose of the trilostane may need to be decreased even further or possibly discontinued. Even even if the prednisone isn't having any effect on cortisol measurements, a post-ACTH stimulated cortisol value of 2.0 µg/dL is too low for me (1,2). I'd recommend that you decrease the trilostane (Vetoryl) dose down to 30 mg once a day, and repeat the ACTH stimulation test again in 2-4 weeks. If the post-ACTH serum cortisol value remains less than 2-2.5 µg/dl on the lowered Vetoryl dosage, I'd even stop the drug completely for 2 weeks to see if the cortisol concentrations will go back up (generally to above 10 µg/dL), as an untreated dog with Cushing's disease should do within a few hours to days. In many dogs that I treat with Vetoryl, the dose can be decreased over time. In some of these dogs, the dose can even be permanently stopped, and their cortisol secretion remains "normal" and never goes up high enough again to cause signs of Cushing's disease (3,4). The aldosterone secretion is not affected in these dogs, and they never develop any serum electrolyte changes associated with hypoadrenocorticism. This "cure" presumably is the result of mild adrenal necrosis, but we don't know for certain. In any case, when it does happen it certainly is not a bad thing, and the owners are generally thrilled! Permanent adrenal necrosis, however, can result in life-threatening adrenal crisis (undetectably cortisol values with hyperkalemia and hyponatremia) if the dog is not properly monitored and the dose of the drug lowered or stopped as needed. What is the cause of dog's polyuria and polydipsia? Obviously, based on the information we have, it's impossible for me to determine the cause of this dog's polyuria and polydispsia. However, the list of possible differentials in this dog is quite long and includes poor diabetic control or urinary tract infection. A serum chemistry panel and a glucose curve is certainly recommended. In addition, since both diabetic and Cushingoid dogs are predisposed to having urinary tract infections, a complete urinalysis with culture must be done (6,7). Even without clinical signs of an urinary tract infection, I'd recommend performing a urine culture twice a year since these infections are commonly subclinical and these urinary tract infections are so common in these dogs. Again, permanent adrenal necrosis can result in a life-threatening adrenal crisis in dogs treated with trilostane if not properly monitored. For this reason, we never want to "cover up" trilostane-induced lowering of the circulating cortisol values by adding in a glucocorticoid supplement, as you did in this dog. We want to lower the dose of the trilostane instead. Reusch CE, Sieber-Ruckstuhl N, Wenger M, et al. Histological evaluation of the adrenal glands of seven dogs with hyperadrenocorticism treated with trilostane. Vet Rec 2007;160:219-224. Nichols R. Complications and concurrent disease associated with canine hyperadrenocorticism. Vet Clin North Am Small Anim Pract 1997;27:309-320. Forrester SD, Troy GC, Dalton MN, et al. Retrospective evaluation of urinary tract infection in 42 dogs with hyperadrenocorticism or diabetes mellitus or both. J Vet Intern Med 1999;13:557-560. I saw that in a previous post you mentioned that hyperadrenocorticism should be ruled out in dogs prior to doing a desmopressin trial to test for diabetes insipidus. My cat was diagnosed with DI from a desmo trial, but we didn't rule out hyperadrenocorticism first. Would the desmopressin have increased his urine specific gravity and reduced the amount he was drinking if he actually had hyperadrenocorticism instead of DI? (He's now exhibiting symptoms that make me wonder if he might have hyperadrenocorticism.) Thank you! Cats that have Cushing's do not develop severe polyuria unless they have concurrent diabetes mellitus. So that's a different scenario than for dogs.